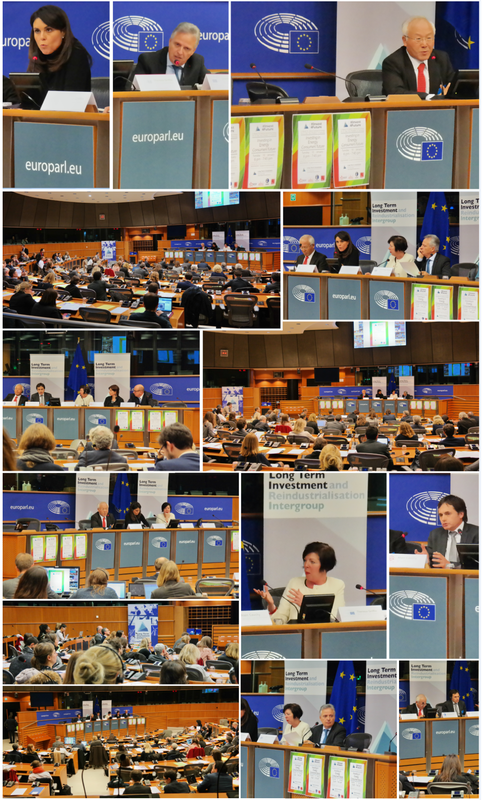 On January 10, the Long-term investment and reindustrialisation Intergroup of the European Parliament held a conference on the improvement of energy efficiency for the benefits of consumers. The event brought together Members of the European Parliament (MEPs), officials from the European Commission, and representatives of the industrial and the financial sector and of the civil society. After welcoming the participants and introducing the speakers, MEP Simona BONAFE outlined the objectives of the Long Term Investment group: stimulating the debate on the lack of public and private investment throughout Europe. She stressed that bringing together legislators, investors and public operators is key to fostering more investments and that energy is one of the field where such investments are needed. Simona BONAFE further explained that contributions from the consumers are an essential aspect of the energy transition: their choices in the technology and smart applications they use or their understanding of their energy consumption help identify priority issues. In addition to being consumers, they must be enabled to enter the market as producers of renewable energies. As she explained, massive renovation is also needed throughout Europe to make buildings more energy efficient and such effort can only be undertaken through large scale and forward-thinking investments. The European Fund for Strategic Investments (EFSI) can be part of this renovation effort, but beyond EFSI, energy efficiency policies need to be improved. She concluded her remarks by welcoming the fact that each of the eight legislative texts proposed by the Commission in the “Clean Energy for all” package addresses the issue of consumers’ rights. Dominique RISTORI, Director-General for Energy of the European Commission, delivered the first keynote speech. Mr. RISTORI stated that a successful management of the energy transition will be crucial in order to implement the Paris agreement. Those investments should focus on energy efficiency, renewable energies, as well as the development of smart and innovative products. Discussing the “Clean Energy for all” package, presented by the Commission in November 2016, the Director-General insisted on the necessity for European institutions to negotiate rapidly on these issues. He explained that this package is coherent and will be decisive in fostering investments and expanding consumers’ rights. A sound and clear regulatory framework is the first imperative for investments. Europe must remain the first driving force in the renewable energy sector. This calls for strong association between, the industry, the energy sector and research and innovation actors to produce the best renewables possible. Mr. RISTORI believes that this package also empowers consumers, in a way that has never been done before, enabling them to increase their level of information. Consumers should be able to become active and informed actors, allowing them to become producers or store electricity. The second keynote speech was given by Dr. Dochul CHOI, vice-president of Samsung, on behalf of CECED, association representing the home appliance industry in Europe, including 20 companies as Direct Members. As Dr CHOI pointed out, energy and consumers are both at the heart of the home appliance industry and the sector has developed a strong connection with consumers throughout Europe. He conveyed his support to the proposals presented by the Commission in the “Clean Energy for all” package, specifically the provisions enabling consumers to contribute more actively to the energy market. He underlined on how consumers’ contribution can help shape the energy market and the home appliance sector. Dochul CHOI hopes that these legislative proposals will translate into effective actions. Research and development in the Home appliance sector currently represents investments of 1.4 billion euros annually and the sector as a whole is looking to develop smarter and energy efficient appliances. Dr. CHOI concluded his remarks by indicating that CECED released its first report on the contribution of the Home Appliance industry to Europe on January 10. MEP Theresa Griffin gave a few introductory remarks on the “Clean Energy for all” package. From her perspective, the challenge is to involve all Europeans: the alleviation of energy poverty is crucial and energy must be considered a basic social right. This package represents an important challenge but also an opportunity to consider consumers and their role in the energy market. The round-table started with the intervention of Federico DE STEFANI, CEO of SITGroup, representing the European Heating Industry (EHI). As Mr. DE STEFANI stated, heating accounts for 40 % of the final energy consumption in the EU, mainly consumed to provide heating and hot water for buildings. Such a high level makes it a crucial sector in achieving the EU’s climate and energy goals. While minimal efficiency standards, such as the standards set by the “ecodesign directive”, usually apply to new appliances, much still needs to be done to accelerate the rate of modernization or replacement of appliances since 85 % of the market still relies on older appliances. Replacement rate is currently very low and should be increased by at least 25 %, in order to achieve EU targets. Many efficient technologies are available but heating system replacement is usually carried out with little anticipation, with the consumers replacing their heating system only when their previous appliance stops working. According to Mr. DE STEFANI, labeling installed appliances according to their level of efficiency may help consumers better anticipate and plan their transition to a new appliance. This system is used successfully in Germany and he feels that the upcoming review of the Energy Performance of Buildings directive should make such labelling compulsory throughout the EU. Smart heating technologies could also better inform the consumers on their maintenance. In order to finance the transition to these efficient technologies, he believes that investment into energy efficient renovations should be available in priority to the residential sector. MEP Theresa Griffin then asked Sylvie PERRIN, Head of Project for EDF, to present the Smart Electric Lyon project. EDF, along with 21 industrial and research partners, launched this collaborative programme in 2012, to explore the possibilities given by Smart Grid technology. The project reached over 20 000 clients and it is to this date, the biggest technology demonstrator for Smart Grid in Europe. Mrs PERRIN explained that the programme focused on defining how smart communicating meters, such as the Linky meter provided by ENEDIS, can help consumers manage their energy consumption. Experiments were carried out with residential consumers, as well as industrial plants, and local authorities’ buildings. Today over 2 million smart meters have been installed. Consumers were given a comparative survey of their consumption and of the consumption of another household of the neighbourhood sharing similar characteristics. According to Sylvie PERRIN this simple comparison helped the consumer lower their energy consumption with an average of 0.9%. The programme also tested out different tariff policies: when given comprehensive details of their energy bill, consumers usually adapted their consumption to help reduce consumption peaks. For commercial buildings, Smart Electric Lyon provided energy management appliances leading to a drop in their final consumption from 15% to 50% for older buildings. Finally, energy efficiency refurbishment helped achieve major outcomes, especially in the social housing sector. Mrs PERRIN concluded her remarks by stating that consumers are beginning to ask for environmental friendly technologies and that this criterion is becoming, in some cases, as important as the cost factor. Justin Wilkes, Deputy-Director, spoke on behalf of the European Environmental Citizens Organisation for Standardization (ECOS). ECOS represents 42 non-governmental organisations, working on a daily basis to promote environmental aspects within the standardisation system and ecodesign process.. Mr. Wilkes explained that a clear direction must be set at the top, by European institutions, in order to provide a stable long-term visibility for industry and consumers. This visibility can be achieved through the legislative regulatory framework, which must work as an incentive for the market to veer towards smart and eco-friendly technologies. He believes that energy efficiency targets set by the EU for 2030 can be more ambitious. Mr. Wilkes insisted on the necessity to design policies that are coherent from top to bottom and to put more focus on the enforcement of those policies and to market surveillance. ECOS welcomes the release by the Commission of the Ecodesign Working Plan 2016-2019, which will be delivering more than 500 M€ savings per year on household energy bills. Alain CAUCHY, Property Director for the SNI, briefly presented SNI, France’s first social landlord and a subsidiary of the Caisse des Dépôts Group. SNI manages over 345 000 housing units in France, three quarters of which are social housing units, throughout the French territory. SNI first developed a global energy strategy plan in 2011. This plan is monitored regularly by assessing the average energy consumption of the property stock, as well as the average reduction of greenhouse gas emissions. Monitoring how energy efficiency impacts the cost of energy for the final beneficiaries is also important for SNI, since they provide housing mainly for low-income households. As a public housing operator, SNI does not rely on any return of investment when carrying out energy efficiency refurbishment. The savings achieved by reducing energy bills benefit entirely to the tenants. As Mr. CAUCHY explained, SNI improves energy efficiency mainly by refurbishing the existing housing stock, focusing primarily on building insulation (windows, roof…) then smart equipment and heating performance. Likewise, new constructions are designed to integrate existing thermal regulation, and often go beyond the minimal criteria set out by the regulations. Energy efficiency measures are financed through several instruments, such as the eco-loan provided by the Caisse des Dépôts. SNI is currently working with the EIB to launch quasi-equity loans for over 25 000 housing units. Paul HODSON, Head of Unit “Energy Efficiency” in the DG Energy of the European Commission concluded this round-table. As he outlined, the target of 30% for energy efficiency by 2030 will have strong implications for the industry. Innovation in the industrial and energy sectors already helped improve energy efficiency. However some products, such as fridges have almost reached their full potential as far as energy efficiency goes. Creating new innovative products is one way of bettering energy efficiency but renovating existing products is also key in reaching the targets set by the Commission. This renovation effort will have a strong impact on the economy: it will help create new jobs, such as skilled maintenance workers. The renovation of buildings has already had a positive impact on energy efficiency, but it must be undertaken in the poorest areas. Mr. HODSON believes that this can be achieved by integrating energy renovation every time large scale intervention is carried out on buildings. As he explained, article 7 of the Energy Efficiency Directive, which will be reinforced by the review proposed by the Commission in the “Clean Energy for all” package, is the driver for the speed of the renovation. MEP Theresa GRIFFIN then turned to the audience for questions. Dr. Dario CHELLO, Head of office for ENEA (Italian national agency for new technologies, energy and sustainable economic development) asked the first question. He agreed with panelists that the “Clean Energy for all” package brings a new perspective by making the consumer a central actor of the energy market. He asked whether this new package would be implemented quickly, considering that the third energy package has not yet been transposed by every Member State. He further stated that the energy market must still overcome market failures and that consumers’ rights are not yet receiving all the attention they deserve. Paul HODSON, explained that the need for a quicker transposition was understood by the Parliament. Justin WILKES added that, although a few communications of the European Commission over the past years tried to put the consumers at the center of the energy regulation, he believes that the new proposals do allow more consideration for the consumer. Luca BERTALOT, Secretary General of the EMF-ECBC (European Mortgage Federation-European Covered Bond Council) explained that the EU must be ready to support the lending capacity of banks in order to enable them to help implement energy efficiency measures. Adrian JOYCE, Secretary General of EuroACE, intervened on the Smart Electric Project in Lyon: he asked for further information on the recruitment process for the households involved, and their level of commitment through the entire duration of the project. As Sylvie PERRIN, Head of the project explained, several waves of recruitment were conducted by sending a letter to potential participants. If they did not wish to participate, the household had to answer and if no answer was received they were included by default. The level of involvement was high but required close follow-up.